One of the most impressive and creative young entrepreneurs we encountered in the New York world of Social Enterprise is Matt Bishop, founder of iGIVEMORE. Matt's business model is a sustainable enterprise that enables anybody to start their own fundraising campaign. They can support any 501(c)(3) nonprofit using the technology provided by iGIVEMORE through its application with social media. We see an entire generation and generations to come whose lives revolve around social media with huge networks of 'friends' and 'likes' and connections. With iGIVEMORE anyone can start a fundraising campaign of their own by making a small donation to a Nonprofit and then 'inviting' their social media 'friends' to join in and do the same. iGIVEMORE uses state of the art technology to track each donation and provides a graphic presentation of each person's donation and that of their 'friends'. Their 'friends' then invite their circle of social media 'friends' to join in by making a donation and the graphic continues to expand, spiraling outward. A visit to the iGIVEMORE website will show you just how innovative an idea this is and count on Matt Bishop to continue to grow his enterprise with every new available innovation in technology. Just imagine how quickly emergency funds can be raised in a natural disaster scenario with this 'grass roots' use of this technology ! Is it sustainable? Yes, because all donations are made and tracked through iGIVEMORE which deducts a small fee for the service. This very scalable model is off to a very successful start and has the potential to grow into a vehicle with great impact for raising money for Nonprofits. Some of our REBSEA members have already expressed an interest in starting an iGIVEMORE campaign of their own. They see this as a way to do something they have thought of doing but had no clear idea of how to do it. We believe that for many of our readers, particularly those with a strong social media presence, iGIVEMORE could be a great vehicle for supporting causes they feel strongly about. Thank you, Matt, for what you have started! 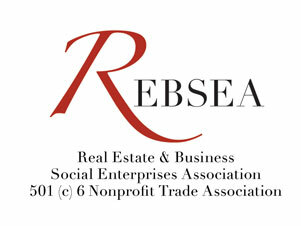 Matt is a licensed Real estate agent in New York and one of the Founders of REBSEA.